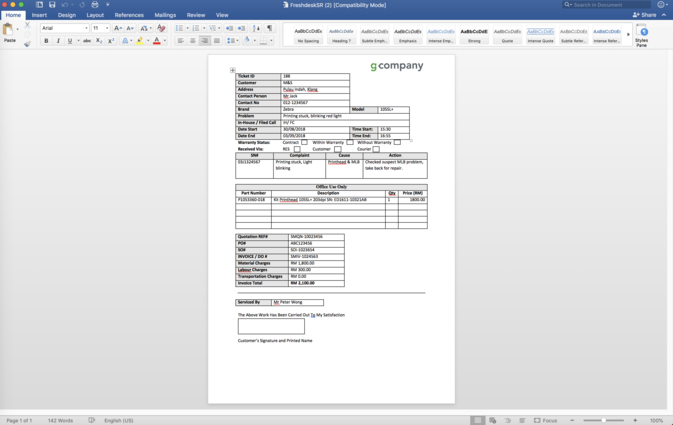 The Doc Merge app for Freshservice allows you to merge ticket data such as ticket id, subject, description, contact information and custom field data in a word document with your company template and letterhead. 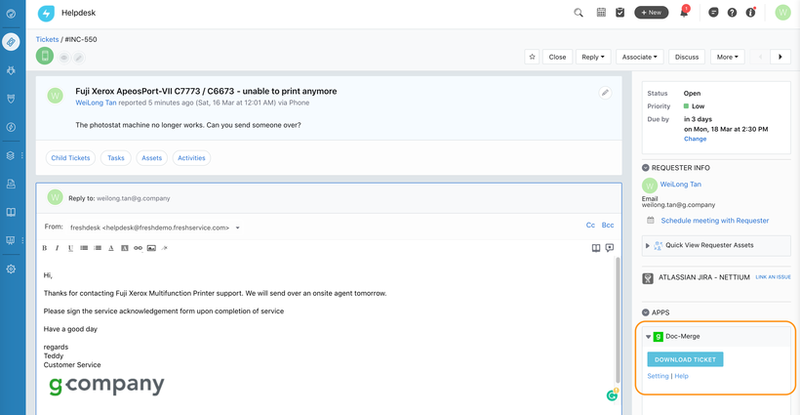 If you are currently copy and paste the ticket properties into service acknowledgment form or a word document for your on-site agents manually, this app will make your life much easier. You can use this app to merge ticket data with Microsoft Word document. 4) Select a ticket and click download.